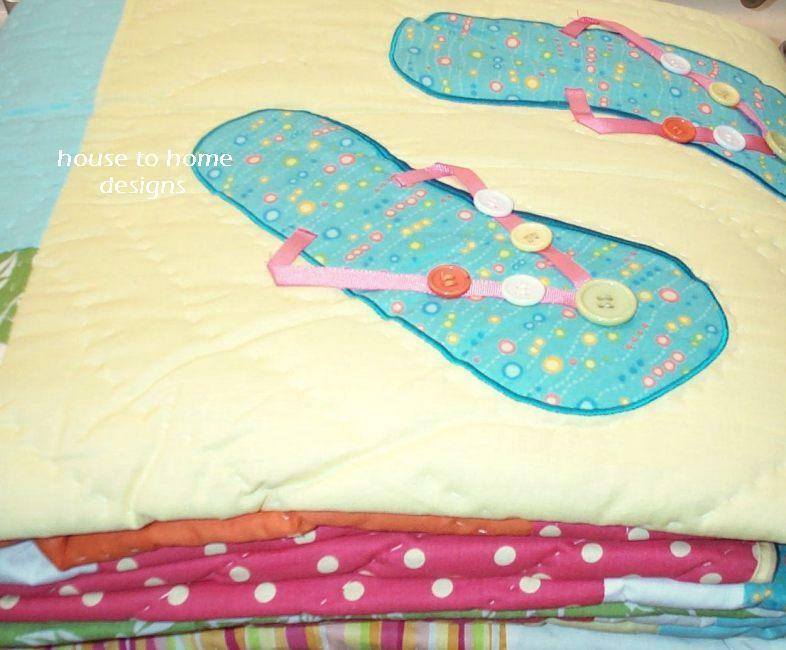 Bursting with fun, this whimsical Flip Flops quilt brings the beach to your bedroom. 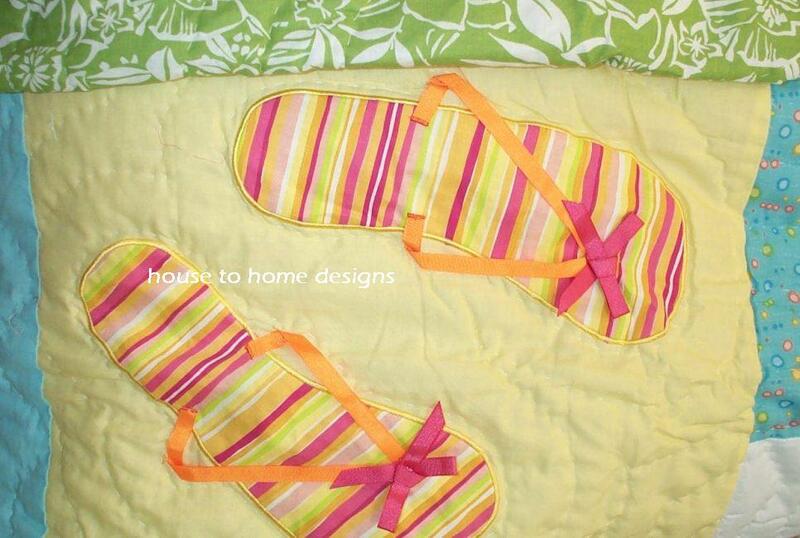 Features an assortment of applique flip flops with ribbon and button accents to resemble the real thing! Accented with patches of pink polka dots and tropical florals, with a mix of solid and stripes in sunset orange, lime green, caribbean blue, sun yellow and crisp white -- every color to bring the tropics indoors! Reverses to the green tropical floral. 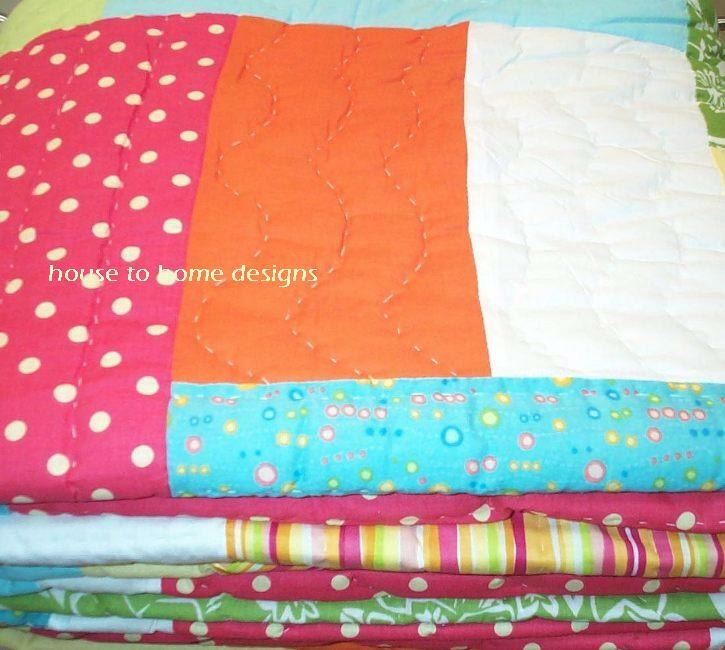 Twin Quilt 66 x 86 in.